Before you turn up your nose, I want you to hear me out. 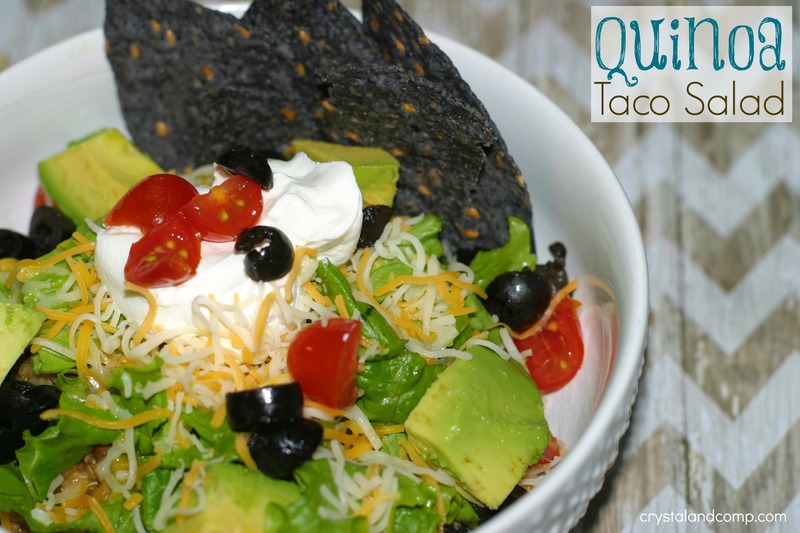 Yes, I made taco salad subbing out the meat for quinoa… and it was AMAZING. It was also filling and not heavy at all. I do plan to make it again and again. If you’re new to quinoa recipes, this is one of the most natural, protein and fiber rich whole grains you can eat. It is gluten free and wheat free. It is an excellent meat substitute. 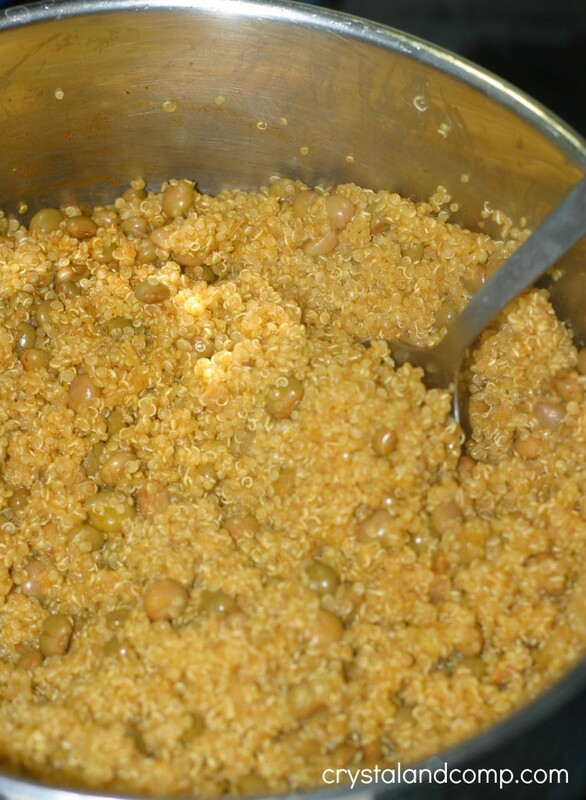 By itself, it has a light nutty flavor and is an awesome meat, rice or couscous alternate. It contains all of the eight amino acids. This meal came together in less than 20 minutes. It takes more time to prepare your veggies for topping your salad than the time it takes for the quinoa and beans to cook. 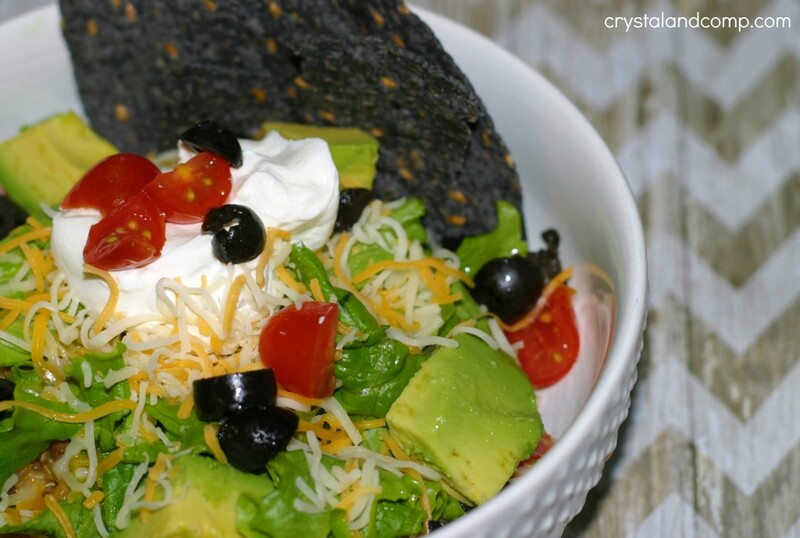 taco salad toppings: black olives, sour cream, lettuce, shredded cheese, tomatoes, avocados, corn chips, etc. In a large pot combine the quinoa, broth and taco seasoning and rained cans of beans. 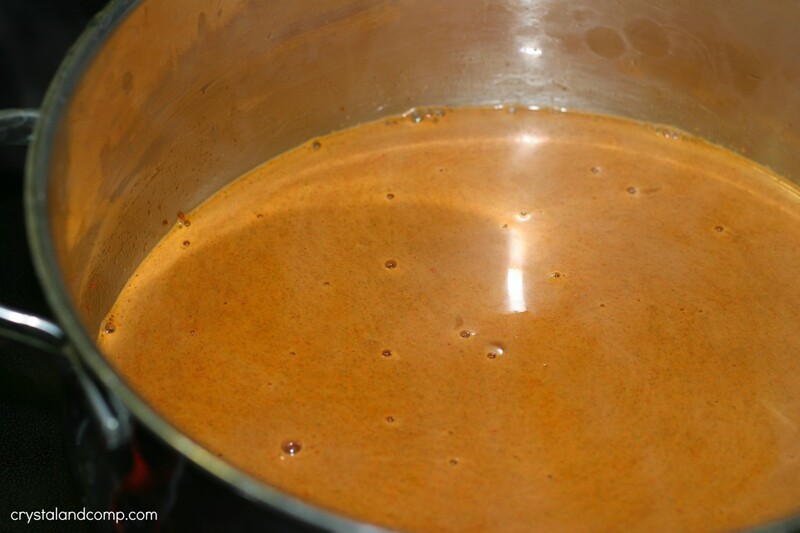 Lower to a simmer, pop a lid on it and let it sit for 15-20 minutes or until all of the liquid is gone. While the quinoa is simmering, chop and prepare your salad toppings. Once the quinoa is done it will look like this. You will see these spiral pieces that come apart from the grains. Totally normal. Stir it up to combine well. Put a heaping of the quinoa and bean mixture into each bowl. Top the quinoa with your salad toppings. Have you ever had quinoa? Are you nervous about cooking or trying something new? This is amazing and a very healthy supper that comes together quickly! I think you’ll be pleasantly surprised. Maggie recently posted..Meal Planning Monday! Yeah, don’t tell him. Everyone at my house was skeptical…. where is the meat they said. I am always on the lookout for quinoa recipes – this looks like a super make-ahead salad! Thank you for sharing. Let me just say, this was amazing! Never thought to put Quino into a taco recipe. I think I might try this one soon. I’ve yet to try quinoa, but have always wanted to. I’m thinking this recipe is the winner to get me trying it … looks yummy! 🙂 Thanks for sharing at this week’s Thoughtful Spot! I’m going to have to give quinoa another try, this looks delicious! mmm looks yummy! Thanks for linking up to Tips and Tricks! Hope to see you next time! I love this! It looks so yummy, I can’t wait to try it out. Shout out to another mom of twins (hi!) I also featured this on my Funday Monday features! Thanks for linking up! Us twin moms have to stick together! Let me know if you try the taco salad and what you think of it.